The LepenitsaCave (located 4 km from Belogradchik in the Markashtnitsa locality) is considered a part of the natural phenomenon of the Belogradchik Rocks and is of age probably close to the age of the rock formations. Its walls are coloured in the same red-brownish colour that adorns the rock structures above the ground. Like the MaguraCave it is horizontal and open for visitors to enter in the bowels of the earth, and its front camera is truncated into two floors. The interest in geological processes, as well as in the archaeological heritage, buried under the layers of earth, leads many scientists to head through the mouth of the LepenitsaCave. 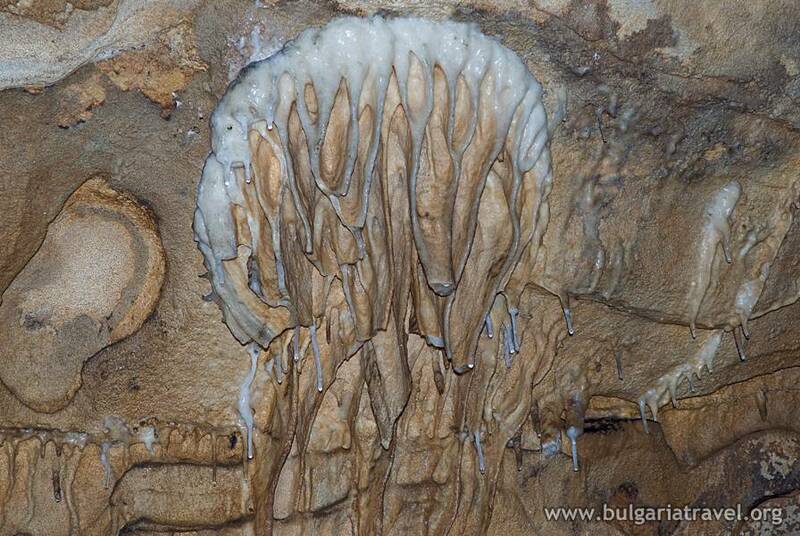 The first studies were initiated by the specialist in prehistoric eras Vassil Mihov, who explored the caves in the area. During this first stage of studies fragments of clay and tools were found. Further excavations were carried out in the early 60s by Ivan Balkanski (from the Historical Museum of Belogradchik) – these excavations shed light on the findings of Vassil Mihov. Studies have translated one step further, when at the end of the 80 studies were undertaken by Zlatozar Boev and Nikolay Iliev of the National Museum of Natural History and the Bulgarian Academy of Science, with the assistance of engineer Emil Dzhuninski, then curator of the Natural History Museum of Belogradchik and Ivaylo Krumov – then still a student in the city. Drillings were made in the halls of the cave and fragments of pottery, fauna and floral remains were collected, and further a study of the chemical and mineral composition of the soil was made. This is the first archaeological-zoological and archaeological-botanical study of the cave. Although flint was not found, in addition to the ceramic pieces found, the palaeologic and botanical analysis gave great results. When speaking of local fauna, the most numerous representatives were the domestic animals – seven mammal species, five of which were numerous remains of domesticated sheep, goats and cattle used daily in the household. Also interesting were the botanical finds – wheat, barley and rye that seem like the most common livelihood in the area and their abundant presence clearly indicates the dependence between the earth layer and the culture that inhabited it. Traces of plant remains in the mortar used in the construction of houses were also found, which suggests that the preferred building technique was mud masonry. The pieces of plaster show that the entrance of the cave was once inhabited and dwellings were built in it by the people working the lands nearby. We can suggest another possible analogy with the MaguraCave, as it is believed that its Arch Hall was used for a residence by the population of the area. Archaeological findings speak for the existence of an agricultural society, organized in a settlement, where the basic means of livelihood were produced. The LepenitsaCave is also an outstanding example of the geological processes, that have dominated in the area and its beautiful chambers, colonnades, the web of hallways hidden under our own layer of earth, are a great continuation of the visible part of the complex that has selected to remain above the surface.